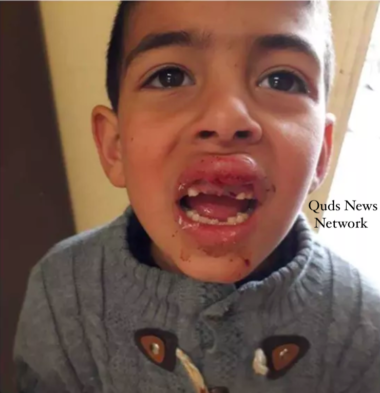 An illegal colonist ran over a Palestinian child in Hebron, in the southern part of the occupied West Bank, Tuesday, and fled the scene, according to Quds News. The unidentified colonist struck Omar Ra’fat Salaymah, 6 years old, with his car while the child was on his way home from school in the Salaymah neighborhood. Palestinian medics promptly transported the child to a medical center in Hebron; his wounds have been described as a moderate. Such attacks are on the rise, and nowhere is this more evident than in Hebron, where Benjamin Netanyahu cancelled the long standing agreement with the Temporary International Presence in Hebron (TIPH), and forced them out. On February 25, 1994, Baruch Goldstein, an American-Israeli right-wing extremist opened fire in the Ibrahimi Mosque in occupied Hebron, killing 29 Palestinian Muslim worshipers. On 31 March, 1994, representatives of the Palestinian Liberation Organization and the Israeli government signed an agreement requesting Italy, Denmark and Norway to provide observers to form a Temporary International Presence in the City of Hebron (TIPH). Article 49 of the 4th Geneva Convention states that the occupying state (Israel) is forbidden to transfer its own population onto the land it occupies (Palestine), therefore under international law, all Israeli settlements are illegal.